The words “federated search” may not have you jumping out of your chair with excitement, nor rushing to put down a tenner for a new web service. Search is a huge part of what we do on the internet, and what Simplexo aims to do is make search better by mixing in results from the web with results from our own devices… Obviously Google does a pretty good job for the internet- so what Simplexo offers is secure, cross-device searching. Say you left an important document on your work computer that you suddenly need to view on your iPad – their service will let you securely connect to your desktop and search for it from your tablet computer – or from your phone. Simplexo’s cross-device search tool aims to be automatically more relevant to you because it’s your stuff that they’re searching. You won’t just find out what Wikipedia and the internet have said about a particular topic – you’ll find out what you said about it back in 2009, what people have emailled you about it and any relevant files or documents on any of your computers. NB: the email bit only works for native email services like Outlook where messages are downloaded to the computer. The obvious advantage of Simplexo is that it provides a unified service between your phone and your PC, your tablet and whatever other gadgets you’re carrying about with you. As people get more phones, more tablets and want to sync them, this makes loads of sense. Security was a big deal when I talked to CEO of Simplexo: they told me that the service is secure because it never makes a direct connection between your PC and your phone. 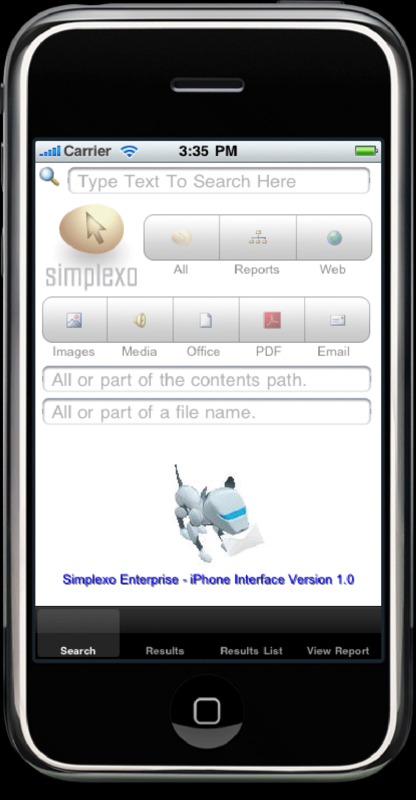 I can see the business case for Simplexo, but, I just don’t see it as a leisure-time app. I’m still not convinced that people would use this as a leisure time interface. 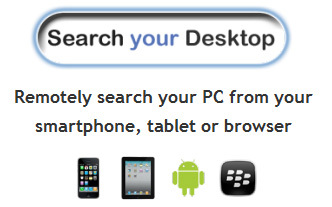 One example that the Simplexo CEO gave was searching for an album on a PC with his tablet. But it just comes up as an audio file – on what looks like an off-shoot of Microsoft Outlook and even though I could stream music from it, by directing it to the device’s audio player it was not a very engaging experience. Especially compared to apps like Spotify or iPod which are much more pleasant and immediate. Also all that focus on security just isn’t of interest or relevance to the average leisure user who just wants to access social email and media content. One other catch is that your home computer will have to be left on, and hooked up to the wifi for you to be able to search it.. I for one – always switch it off..